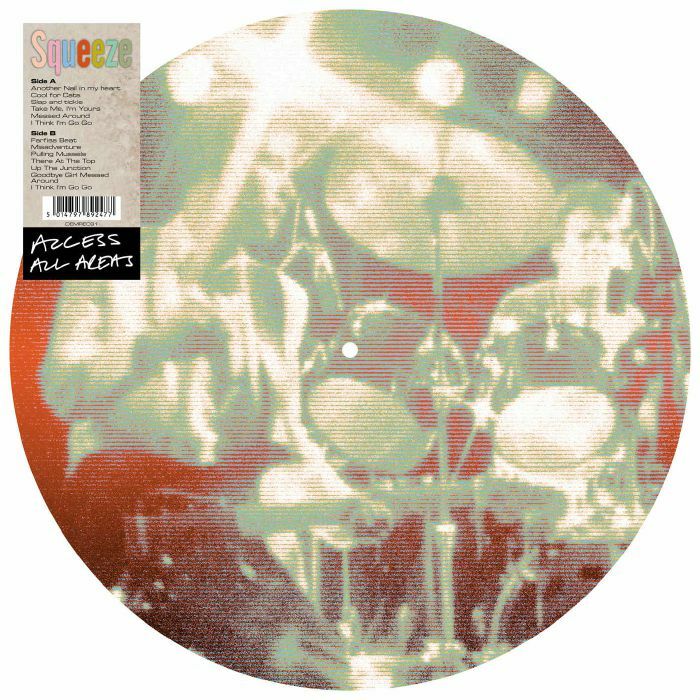 Demon Music Group are listing a new old Squeeze record for sale – or at least they were! – a CD / DVD package supposedly recorded live in 1980 – although I suspect it may have been recorded in 1979 and first broadcast in 1980. Does anyone know which performance this is? It looks like a nice item – although I wonder what the sound’s like? It’s also recently disappeared from ‘pre-order’ and isn’t featured on their website anymore. Could it have been cancelled? 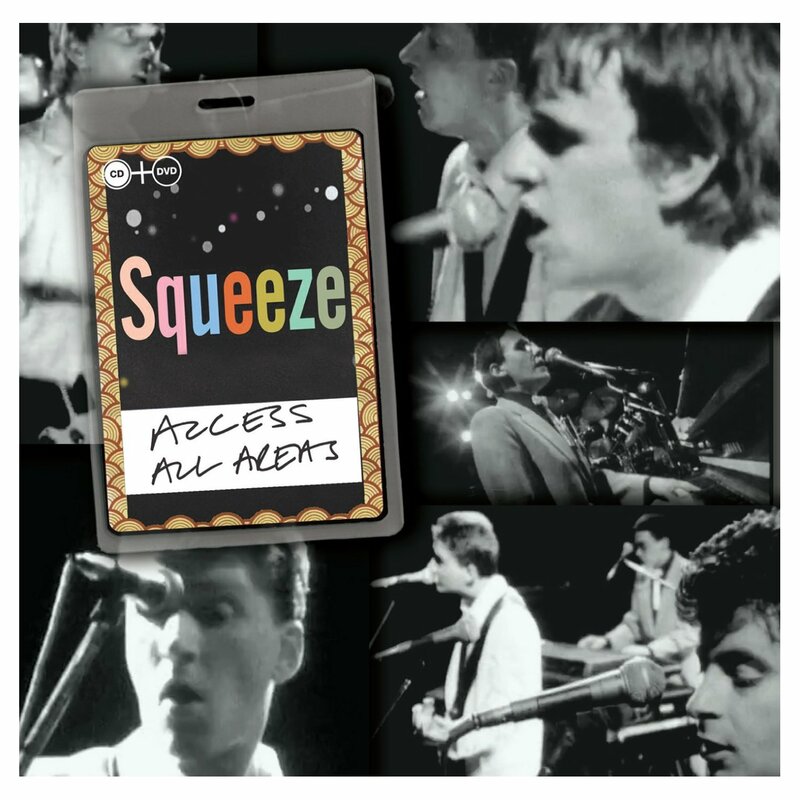 15 Responses to "Squeeze – Access All Areas – new CD / DVD and… Picture Disc LP?!" I assumed it would be from the same performance that the video greatest hits features of Pulling Mussels. Was due for release tomorrow originally. I wonder if pressure was applied so that it didn’t come out just before CTTG? I believe these recordings might be archive BBC material. Hopefully it will resurface in the schedules soon. Can’t have too much new Squeeze product! I agree Daniel – it’s just bad timing to bring it out at the same time as the new album. My order on Amazon says delivery January!!!!!!!!!!!!! I assumed it would be the Nottingham concert that was broadcast on ITV in 1980 in support of Argybargy (David, you’ve even got a copy of it!) as the track listing is identical to that concert’s running order – though “Messed Around” should be “Mess Around”! I popped in to my local HMV today but they didn’t have it. The girl behind the counter said they have one on order but it’s also down as “deleted”. Make of that as you will! I too have orderd this from Amazon and got E mail today to say it’s now coming 9ut on 11th of January. It was su[posed to be today it was out. Yes, it was bad timing to release it now and could have really confused people with the new studio album. Let’s hope it’s only delayed then! Amazon have informed January!? Doubtful official as no sign of it at merch counter at concerts. Get a new live CD and get it signed instead! Happy days instead. Thanks Tyrone – if it was playable on YouTube before, it unfortunately isn’t now. It looks like the release has been well and truly cancelled. YouTube have recently made a lot of Squeeze songs unavailable. Like you say to Mike, I think it’s got something to do with permissions. It’s a pity, but you have to get used to that when you’re a Squeeze fan. Been informed that my order of the above has been cancelled. It appears amazon cannot get them from supplier. I guess that’s the end of that ? Thanks for the update Mike. It looks like they went ahead and advertised the release before getting the required permissions so it now seems unlikely that it’ll ever be released. I just clicked the link and the audio only versions worked for me. Permissions may no longer be such an issue.